Trumpet player Rick Braun is one of the most popular musicians of the smooth jazz genre. After his previous escapades to Holiday Jazz (Swingin’ In The Snow) and Swing (Sings With Strings) he returned to smooth jazz with Can You Feel It. Around The Horn (2017) holds the horns tighter than tight. Guest musicians on the new album are John Stoddart (keys, vocals, synth bass), Gerey Johnson, Peter White (guitar), Third Richardson (drums), Lindsey Webster (vocals), Til Brönner (trumpet), Ron Reinhardt (keys, bass), and Kenny Wild (bass). Rick performs trumpet, flugelhorn, valve trombone, keys and synth bass. The album starts with the bright and breezy So Strong. A Latin flow with some Jobim/Mendes and Herb Alpert feeling and a flavored turn around some Tower Of Power harmonies. “I just want to continue to explore the boundaries of what I am capable of as a musician,” declares acclaimed chart-topping trumpeter, composer and producer Rick Braun. Known for his impeccable technical chops, melodic wizardry and keen compositional prowess, the consummate Los Angeles based musician has been thrilling audiences for decades. Braun has made a mark staying true to his own musical voice and eclectic influences that have allowed him to collaborate across genre with some of the biggest names in music including Rod Stewart, Tom Petty, Sade, Natalie Cole and REO Speedwagon. Having clenched over 20 #1 Smooth Jazz hits, Braun has collaborated with all of the brightest stars in contemporary jazz from Kirk Whalum, Norman Brown and Peter White, to Dave Koz, Boney James and Brian Culbertson. February 24, 2017 Shanachie Entertainment will release Rick Braun’s 17th recording as a leader, Around The Horn. BWB is named after the musicians Rick Braun, Kirk Whalum and Norman Brown. Their first co-operation Groovin’ was released in 2002 on Warner Brothers. With their sophomore effort Human Nature (2013) they reunited on Heads Up Music to do a Michael Jackson songbook. Their third strike is aptly entitled BWB and released in 2016 on Mack Avenue Records. The formation is joined on selected tracks by Hamilton Hardin and Herman Jackson (keyboards), Braylon Lacey and Nathaniel Kearney Jr. (bass), Third Richardson and Gordon Campbell (drums), Lenny Castro (percussion), Demille Cole-Heard (vocals) and Ralph Lofton (Hammond B3). The new album is the result of exercises in Braun’s suburban Los Angeles-area home studio where the band moved in with their families and lived together for an entire week. The recorded songs are without any exception own creations, masterly produced by Rick Braun. Triple Dare starts the album with an horn arrangement inspired by The Crusader’s Streetlife. Bust A Move brings the funky vibe into the session. Instead of covers like on the trio’s debut album, they showcase their personal prowess on this party burner. You can almost smell the tangy barbecue sauce dripping from the forthcoming third album “BWB” by chart-topping trio BWB, who throw down like a sweaty garage band at a Memphis backyard house party on their debut for the Artistry Music label arriving April 22. It’s the first time the band made up of GRAMMY® winners Norman Brown (guitar, vocals) and Kirk Whalum (saxophone, flute, vocals) and Rick Braun (trumpet, flugelhorn, valve trombone, vocals) cooked up a festive, sticky-fingered feast of ten new contemporary jazz, R&B, soul and funk joints. Braun produced the session in his suburban Los Angeles-area home studio where the band moved in with their families and lived together for an entire week. The result is a collaborative disc celebrating brotherhood and live music. The tantalizing title track is the first radio cut, which enters Billboard’s Top 10 on next week’s singles chart and appears to be ticketed for the top spot. Anytime the three solo stars get together to record, it’s an instant candidate for event album of the year in the contemporary jazz world. BWB has been itching to record original material ever since they first recorded as a high-wattage trio in 2002 when they released a collection of covers entitled “Groovin’.” Over a decade later, they reunited as a combo in 2013 with “Human Nature,” paying tribute to Michael Jackson’s songbook and scoring their first No 1 hit with “Shake Your Body (Down To The Ground).” This time around, they decided to compose the material entirely on their own, creating party jams specifically with their spirited live shows in mind. We all like Rick Braun as crooner of jazz standards on Sings With Strings (2011) and Swingin’ In The Snow (2012). But what we really love is Rick Braun, the funky trumpet player known by Night Walk and Beat Street. Rick Braun has heard our request and returns with Can You Feel It (2014). 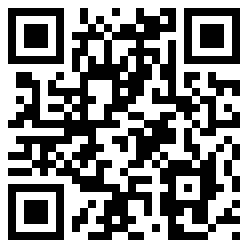 Below you find the list of 21 (!) musicians joining Rick on this new project. Much prominence mingles with the young lions who want to impress with their skills. Take the funk of the Commodores and the Gap Band and you get the right sense for Can You Feel It. 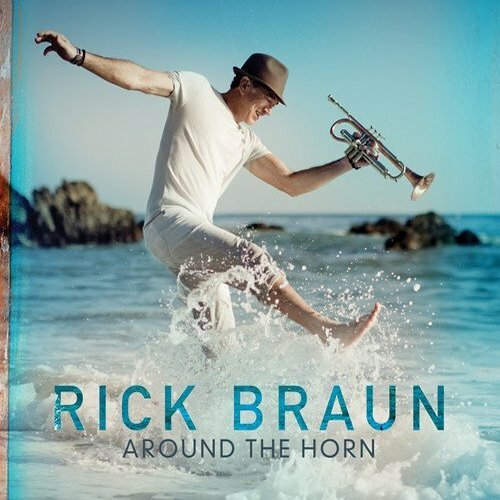 There is a huge package of horns by Rick Braun (trumpet, valve trombone) and Brandon Fields (sax) and Randy Jacobs inserts his sooo funky guitar. It’s been five years since trumpeter-flugelhorn player Rick Braun released an album full of the funky R&B contemporary jazz grooves that made him one of the genre’s most consistent hitmakers over the past twenty years, but the award-winning musician, producer and songwriter returns to his signature sound July 8 with the release of his sixteenth album, Can You Feel It, which will be issued by Artistry Music/Mack Avenue Records. A bona fide contender as the feel good anthem for the summer of 2014, Braun’s “Get Up And Dance,” a collaboration with tenor sax sensation Dave Koz, is already collecting radio playlist adds.